Fun fact about me – I was born in Kenya, one of the most beautiful countries I have seen to date. Even today, I dream of the beaches that put even those of Maldives to shame! I still have a very strong affiliation to Kenya and love meeting people from there. So, when one of my friends from Mombasa was in London it was a great opportunity to take a walk down memory lane. 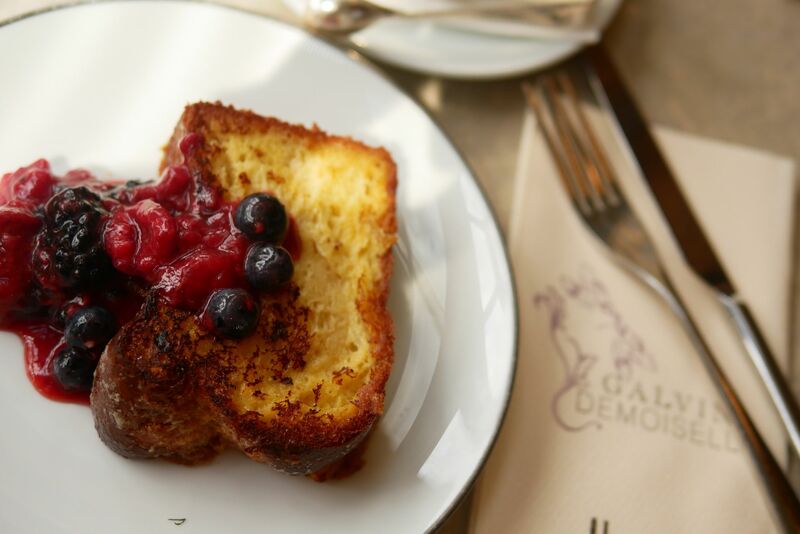 We walked to Harrods and went to Galvin Demoiselle for a morning breakfast. I love Harrods around this time – it’s as quiet as you can ever imagine Harrods to be and you don’t need to fight to hordes of tourists to get to where you need to get, after getting lost a few times, because let’s be honest no matter how many times you have been to Harrods and think you know where everything is, you get lost at least twice on every trip. Or at least I do! Galvin has been expanding its’ wings quite rapidly around London of late and Galvin Demoiselle is its’ most recent venture in Harrods. I love the open lighting and greenery around. The breakfast menu is small, so the choice is quite limited, which isn’t necessarily a bad thing. But no pancakes on a breakfast menu? What’s that about?! So we both ended up ordering the French Toast, and it was beautiful. The French Toast came with berries and a jam compote. 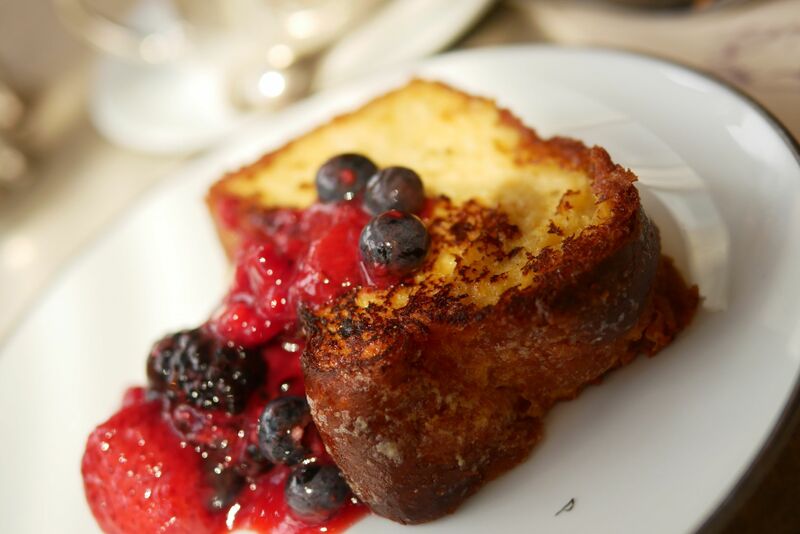 The French toast was thick, but the warmth and lightness of this toast was like none other. (not even the French toasts at Chiltern Firehouse and Christopher’s were this thick and light). The buttery toast was a great accompaniment to the berries and jam. A very short blogpost – but I will definitely be back to try more so watch this space! Overall, giving Breakfast at Galvin Demoiselle @ Harrods a total TLH score of 8 out of 10.